TAP - Tunis Summit: Which impact on Arab region? 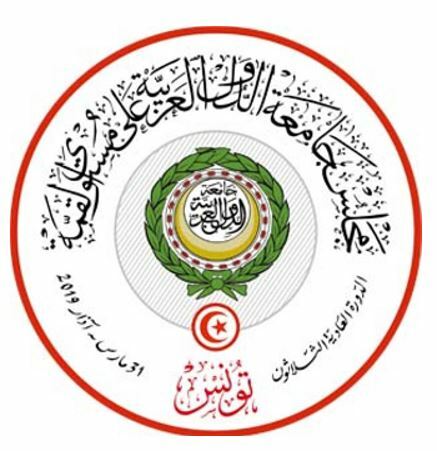 (TAP)-Tunis is hosting on March 31,2019 the 30th Arab Summit in a context of crises, conflicts and inter-Arab divergences, not to mention the major changes that are taking place in the region. Will Arab unity still have meaning with the persistence, in particular, of division within the Gulf Cooperation Council? Should Tunisia's balanced position on this issue help it play the role of mediator? Despite the many criticisms levelled at the Arab League’s inability to influence many regional issues and boost Arab relations, the League remains the common home of Arabs to which they turn to address domestic and international problems and find solutions to the challenges facing their nation. The loss of confidence of the Arab elite and population in the League is precisely due to its inability to meet their expectations in terms of solidarity and concord. Will the Tunis Summit succeed in breaking with this situation of despair, even partially? Or will it follow on from previous summits by standing out as a simple meeting framework that gives rise to recommendations intended to remain in the organisation's drawers until the next meeting. The Tunis summit will address Arab issues with a view to finding appropriate solutions, particularly after President Donald Trump's decision to withdraw US troops from Syria and the gradual takeover of the territory by the regular forces, with the retreat of Daesh and extremist groups. Syria's return to the Arab fold has become an imperative necessity. A call to this effect by the Tunis Summit can certainly give a fresh impetus to the pan-Arab organisation. The Libyan issue will also be widely discussed at the Tunis summit, where it will be a question of encouraging all initiatives from neighbouring countries, be they Arab or African, not to mention the central role of the Security Council in resolving the crisis. Emphasis will be placed on the need to foster dialogue between the Libyan protagonists to ensure they find themselves viable solutions that would guarantee the country's unity and self-determination and enable it to regain its active role in the League. With regard to the Yemeni crisis, Arab leaders will work at the summit to put an end to the conflict in that country, which, according to the United Nations, has caused a major humanitarian disaster, with millions of people suffering from famine and epidemics. As for the Palestinian cause, it will, as always, be at the heart of the summit's work, in view of the dramatic situation in the occupied territories, after the US moved its embassy to Al-Quds in May 2018, a decision to which other countries have followed suit, despite Arab condemnation and recriminations by a large part of the international community. This decision goes against the right of the Palestinian people to establish a sovereign state with Al-Quds as its capital. The Tunis Summit should also play a key role in unifying the Palestinian ranks and achieving genuine reconciliation. It is imperative that the League’s Summit works for a minimum of Arab solidarity and concord, in a context marked by division and bipolarisation. Arab leaders had decided to hold the 30th ordinary session of the Arab League Council's meeting at the summit level after Bahrain apologized for not hosting it.